Longford weathered a strong challenge by Cill Dara to win through to the second round of the Provincial Towns Cup in CPL Park today. The match was played on a lovely crisp day with very little wind. Cill Dara started the match well and largely dominated the opening exchanges. The first ten minutes was played nearly exclusively in Longford’s half and it was Cill Dara who had the first shot at goal. The kick was on front of the posts but on the Longford ten metre line. Although it had the distance it veered to the right and came off the upright for Longford to clear their lines. Longford then came right back into the game and had the best of the next fifteen minutes. Longford started building the phases and gaining field position. Cill Dara gave away two penalties in quick succession, which saw Longford kick for the corner. Longford knocked on at the lineout and Cill Dara cleared their lines into touch. However, Joe McGowan took the resulting lineout quickly to Sean Flynn who made great ground. It was carried on by Paul Gallogly and then put through the hands with Philly Dardis going over for an unconverted try wide on the left on fifteen minutes. Longford were gaining a good deal of control at this stage and applied most of the pressure for the next ten minutes, which was converted into points on twenty-five minutes through the boot of Ryan McHugh to give Longford a 8-0 lead with 15 minutes to go in the first half. Unfortunately, it was a Longford mistake that Cill Dara back into the contest. On the 31 minutes mark, Cill Dara turned over a Longford ruck on the home sides ten metre line and worked their way up to the Longford 22. The Cill Dara No.10, Logan Nicholson put an enterprising chip over the top regathered his kick and went over for a try beside the posts. The Cill Dara 10 then missed the conversion to leave Longford three points to the good. 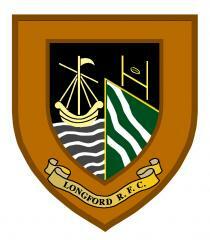 However, Cill Dara came at Longford again and tacked on a penalty on 42 minutes to draw the scores 8-8. They nearly took the lead in injury time but failed to convert a final penalty attempt which landed short.